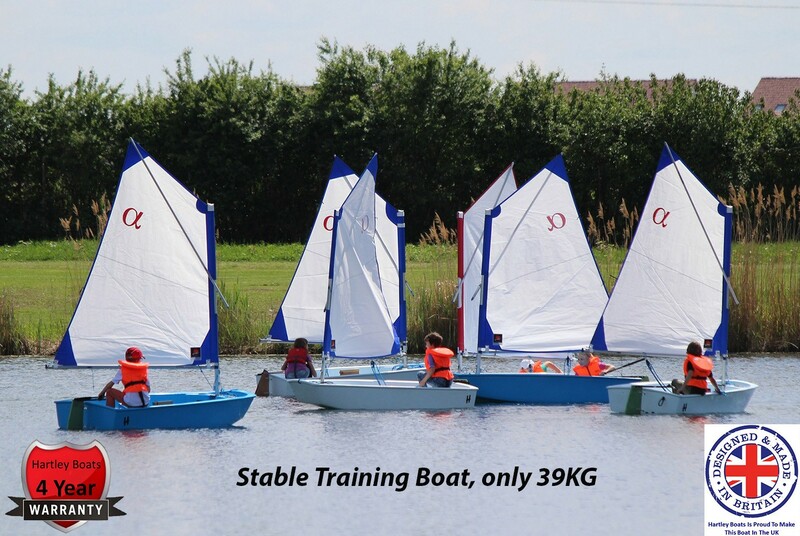 Our range of training boats are the most stable sailing dinghies on the market, they are easy to control, making them ideal for newcomers, resorts and training centres. With their modern unique design and build quality, these boats enable novice sailors to spend more time gliding over the water, not swimming in it! 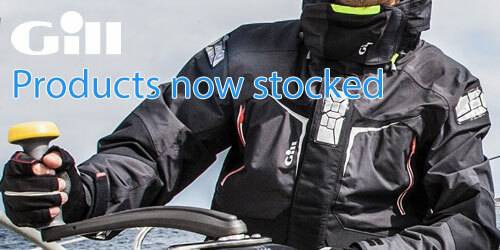 We only want to see the Hartley Boats brand name alongside established brands on boats that uphold our ethos. 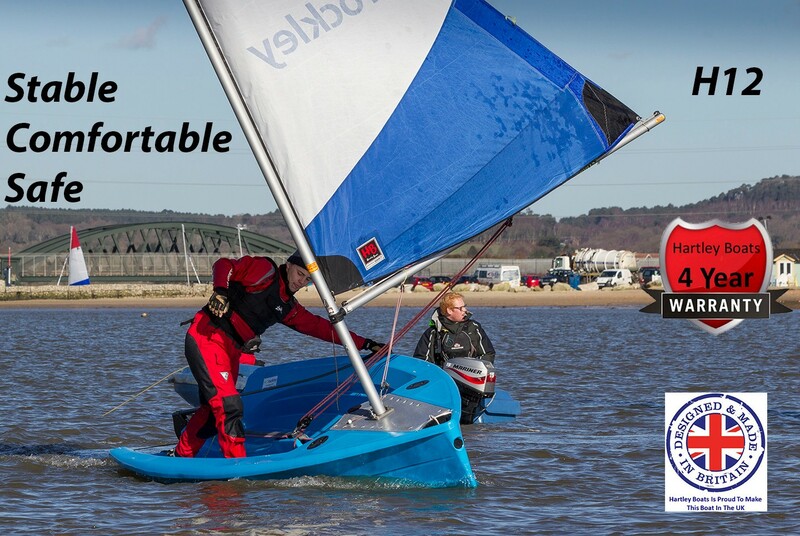 We use all our expertise to add practicality, fun-factor and durability to all our training boats, always remembering to make sailing more accessible and popular. 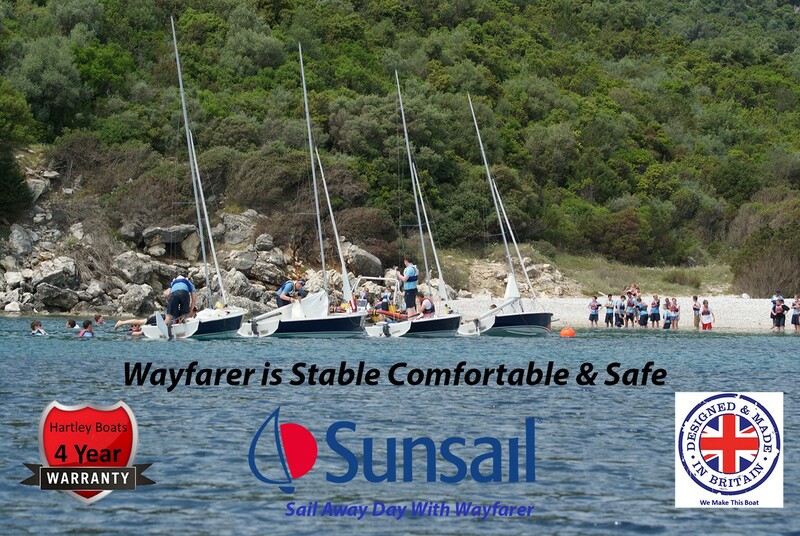 It means a lot to us that our starter boats such as our Alpha, H10, H12, H12.2 & H15 are used with our established classes such as Wayfarer and Wanderer across the world at major training centres like Sunsail, Mark Warner Holidays, Zimm sailing, Rockey Watersports, just to mention a few. Entry level youth boat recommended age 4 to 14. Robust Rotomould Polyethylene, easy to rig sleeve sail, integrated buoyancy, self-draining cockpit. easily transportable 39kg Car top-able. A great fun learning platform for kids. The Alpha is specially designed to introduce the wonders of sailing to the younger generation. Designed with simplicity and safety in mind this robust little craft will encourage and foster young sailors in the early stages of discovery and the adventures of learning to sail. Ultra simple in its design and rig it is very easy to rig, launch and to sail. 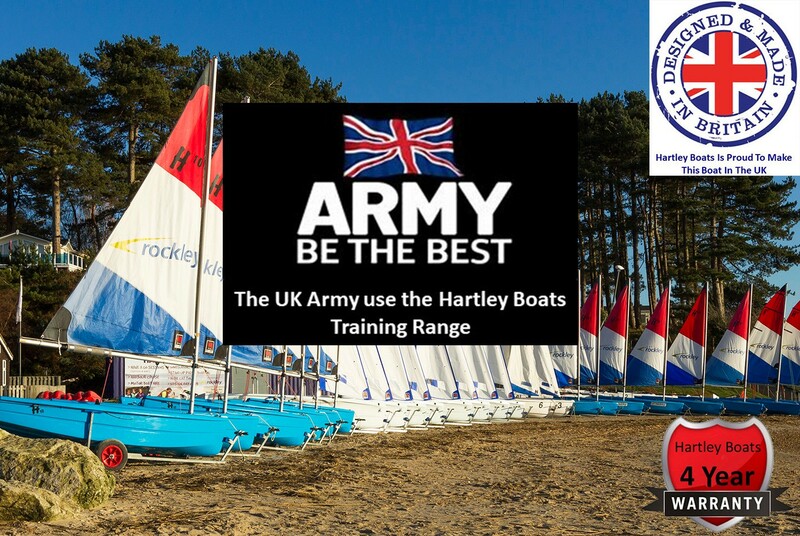 This boat comes with a 4 year Hartley Boats Warranty and with the team always putting themselves in their customer’s shoes, you are guaranteed the quality, service and satisfaction that you deserve. Click here to find out more. At 3.6m with a beam of 1.3m, the Byte hull is built of foam sandwich GRP and weighs in a just 45.5kg. 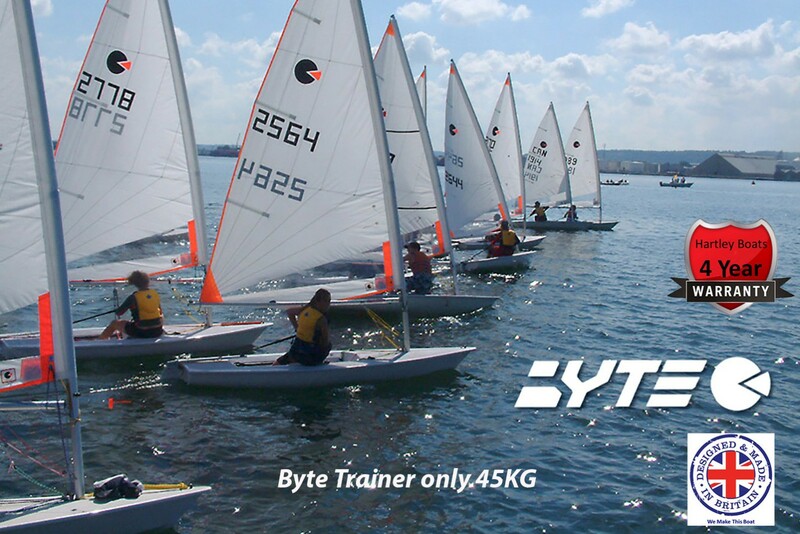 The perfect step from novice to performance sailing, the Byte shares the same hull as the Byte CII however this version has a Dacron sail and simpler rig to make it more affordable and better suited to the rigours of the training environment. When the time comes for a more challenging experience the Byte can easily be elevated to the high-performance Byte CII by simply upgrading the rig and sail. 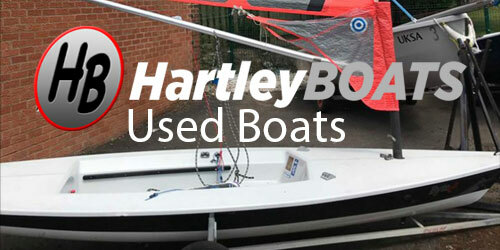 The Hartley 10 or H10 is an entry-level hard wearing Rotomould dinghy. The H10 range includes training, cruising, racing and a tender version. The H10 has a very stable sit-in design with a high boom to more comfortably accommodate older youth and adults. The attractive hull shape moves swiftly through the water and self drains effortlessly. The H10 comes with a single sail with the option of a clip on jib for extra fun on the water. The tender version can be easily towed behind a larger craft or simply lifted aboard, it can be paddled or rowed and has the option of aft seating and an outboard bracket to enhance it's tendering versatility. These are entry level hard wearing Rotomould dinghies. The Hartley12 range incorporates a very stable sit-in design with a high boom to more comfortably accommodate older youth and adult learners. The attractive hull shape moves swiftly through the water and self drains effortlessly. Having a centreboard rather than a daggerboard is a distinct advantage over similar boats as it allows for much easier launching and recovery. The H12 is a single sail version while the H12.2 adds a whole new exciting dimension with the introduction of a jib and an asymmetric or symmetric spinnaker. The Hartley 12.2 is another of our very stable sit-in designs it has a large cockpit and a high boom to more comfortably accommodate older youth and adult learners. The attractive hull shape moves swiftly through the water and self drains effortlessly. It has a centreboard rather than a daggerboard, this gives it a distinct advantage over similar boats of this size, the centreboard provides greater stability and allows for much easier launching and recovery. The H12.2 adds a very exciting 3 sail dimension with a mainsail, a jib and the option of an asymmetric or symmetric spinnaker. 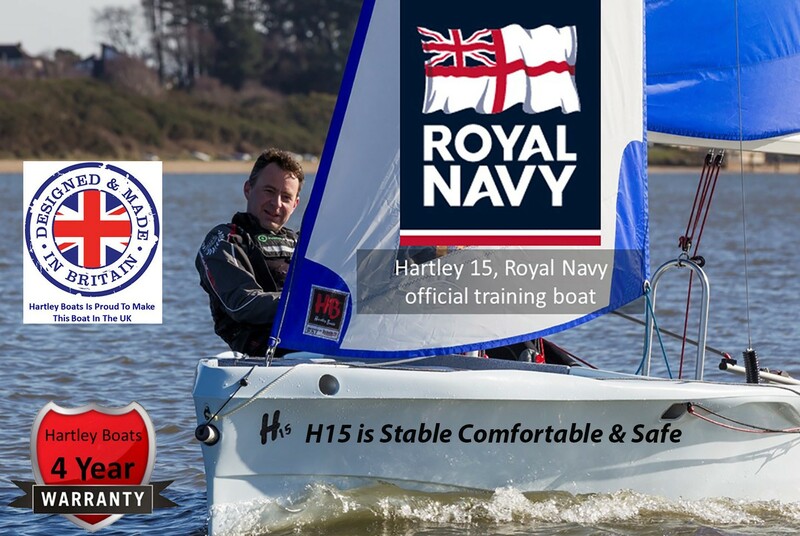 The New Hartley 15 or H15 is the latest of the Hartley Boats exciting range of Rotomould training dinghies. Just like its stablemates, the H15 is very easy to manage and delightfully responsive. Particularly suited to those in the early stages of sailing the Hartley15 is easily rigged and sailed with a 2 or 3 sail plan. 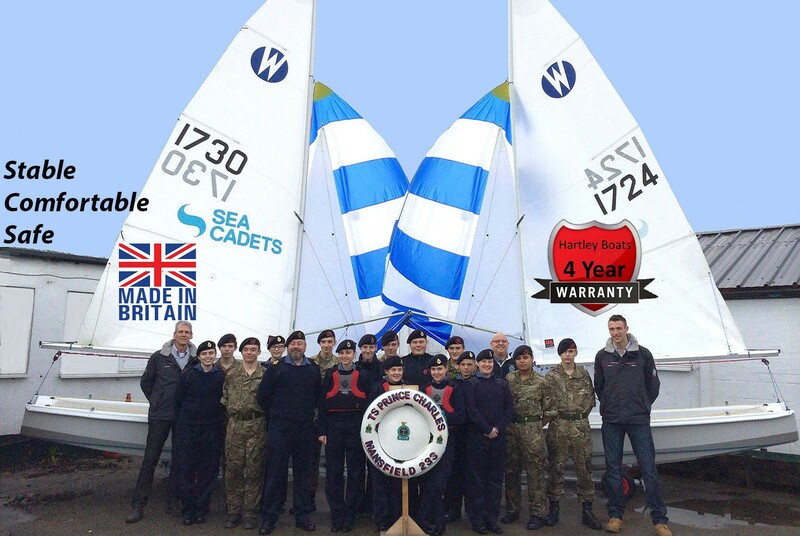 It can be sailed single handed or with up to 5 crew which makes it ideal for training schools. Comes with a choice of Symmetric or Asymmetric spinnaker. 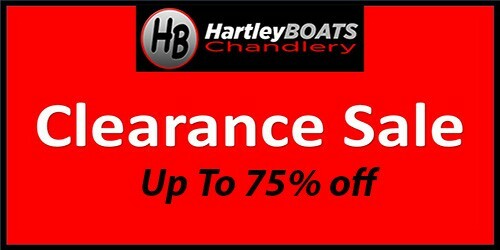 This boat comes with a 4 year Hartley Boats Warranty and with the team always putting themselves in our customer’s shoes, you are guaranteed the quality, service and satisfaction that you deserve. Click here to find out more. Based on the successful design of the classic this modern upgraded Wanderer has all of the great versatile features of the Wayfarer in a scaled down version. Measuring 4.27m (14') this beauty provides a comfortable and stable training platform for up to 4 adults. 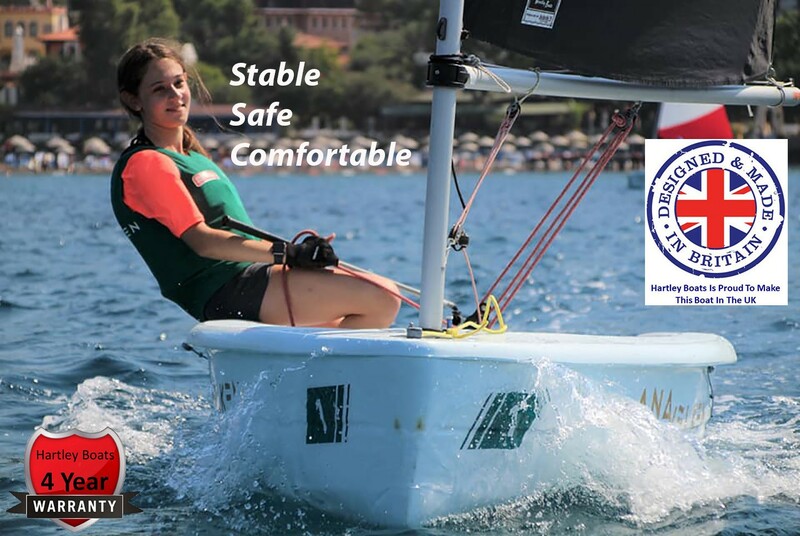 The new Mark IV Wayfarer is CE certified for up to 6 adults, this 4.82m (16') classic dinghy is the all-round favourite of sailing schools and resorts. Very versatile it can be rigged for sailing with symmetric or asymmetric spinnaker options with or without trapeze wires.